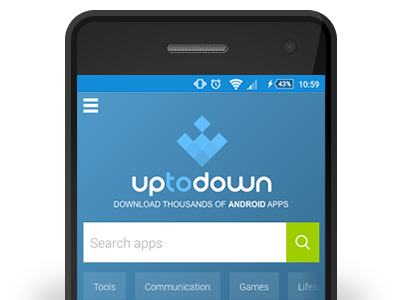 Uptodown is an open platform that offers developers themselves the possibility to send their apps adding them to our catalogue. Currently we have over 45.000 apps and counting, and we are in constant growth. Any developers that want to add their software to our catalogue have to register on our plaform for free (you’ll receive an email confirmation in minutes) to access this service. Our editing team reviews and analyzes all the applications that have been sent by developers, offering both a description as well as additional content like screenshots, videos and tutorials. Uptodown is visited every month by over 80 million users from all over the world. We’re available in 14 different languages. Thanks to our international presence, we can take your app further, to markets that would be nearly unreachable otherwise. Our own translators handle content localization for original content created by our editing team. All the uploaded files are hosted on our own servers and in most cases, they’re downloaded using max bandwidth. Then, they’re analyzed by over 50 different anti-viruses through our partnership service with VirusTotal and their signatures are tested for Android apps to avoid any kind of intrusion. Security on Uptodown is undisputed regardless of content type. Within legal standards, we house a number of apps regardless of their nature or function. Beyond that, what users do with that software is up to them. Send both new apps as well as later updates through our developers platform. Filling in the greatest number of fields becomes much easier and you’ll be more effcient. Remember, that this is not an automatic process, given that each app has to go through our team of editors before being reviewed and published. If later on you update your app, there is a specific section where you can send us those updates. In the same light, if you’ve developed an app and found it on our catalogue, there is an option that lets you claim ownership.